Taliban forces have taken control of former British Army stronghold Lashkar Gah just one year after UK troops withdrew. Civilians are reportedly fleeing the provincial capital over fears militants could soon seize the town. Fighting in the north of the province comes days before the first anniversary of the withdrawal of UK troops and will be an embarrassment for Prime Minister David Cameron, who is trying to convince MPs that more military intervention in Syria will be necessary to secure peace. The Lashkar Gah offensive also follows the re-capture of Kunduz by the Taliban, in the north of Afghanistan, three weeks ago. Another local official said the town of Babaji, which was cleared of Taliban fighters during the British campaign, has already fallen to insurgents. “The Babaji area has fallen in the hands of the Taliban and heavy fighting is ongoing in Chah-e Anjir area,” the official said. “For three days, heavy fighting has been ongoing in Nad-e Ali district and the Babaji area,” he said. Officials also warned the fighting is taking place near the country’s main ring road, which could result in its closure. Lashkar Gah was the focus of Britain’s Panther’s Claw offensive in 2009, and was later a focal point for aid and training. There has also been fighting with the Taliban in Nad-e Ali, another district which housed a large British defensive force during the war. It is thought that some 400 Taliban fighters are advancing on Chah-e Anjir, which is situated only 10 miles from Lashkar Gah. “Helmand’s capital appears to be under serious military pressure. We’re hearing reports about civilians fleeing in large numbers,” a Western official told Reuters. Afghan Interior Minister Sediq Sediqqi expressed his confidence in the country’s armed forces. “We are in no way concerned right now,” he said. The Afghanistan offensive cost NATO allies billions of pounds. Such lapses in security will prove embarrassing for world leaders who staged the intervention. President Barack Obama announced last week he would delay plans to withdraw the last US troops from the country, saying at least 5,500 would remain until 2017. 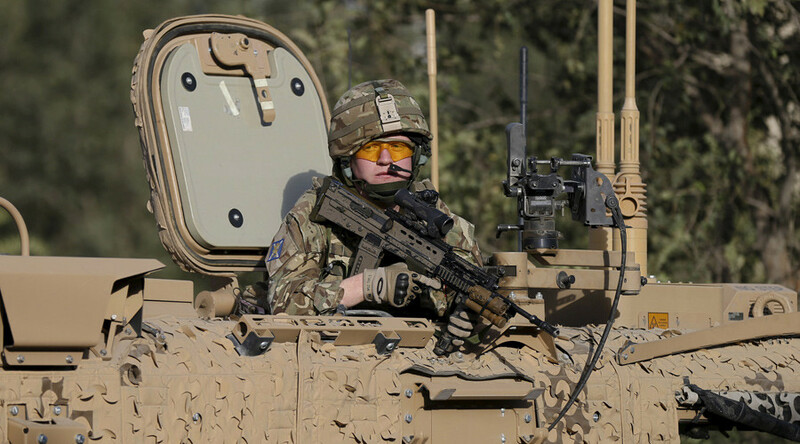 Britain has around 500 troops stationed in Kabul, as well as a number of Special Forces.